In my initial introduction post for this class I stated, “I feel comfortable with technology”, yet I am reminded that “comfortable” is a relative term. The truth is, I have grown comfortable with certain technologies–(and at times over the years have been the “go to” person for helping other staff members), however, I realize that my “range” is rather narrow. I am hoping that this course will help me to gain needed skills and confidence. My question is: What resources are available to address individual student needs and draw out student strengths, while also encouraging reflective writing? In the midst of the readings this week and discussions with colleagues at school, I learned of a resource called Schoology. https://www.schoology.com/home.php This is a free online tool that allows teachers to create an online, interactive classroom in which connections with students (and even other educators) can be easily facilitated. Most exciting to me is the feature which allows you to customize and differentiate instruction for students within the same course. Another reason I selected this resource to share is because three of the most “techie” teachers at my school (one teaches history and the other science) have begun to use this tool with their students. My thinking is that I might be more likely to use it with the added support of others—especially when it comes to any potential “glitches”. Additionally, some of my students also have these other teachers—so using the tool with multiple teachers might increase familiarity all around. In Digital Storytelling: A Powerful Technology Tool for the 21st Century, one of our readings for this week, author Bernard Robin conveys the important role that digital stories can increase student comprehension through “integrating visual images with written text” (p. 222). In another article , Learning, Teaching & Scholarship in the Digital Age, the author noted that for high school students in particular, opportunities to exchange thoughts in written form via social networks can assist students in working out emotional and interpersonal issues (Greenhow, 2009). “Learn it in 5”,http://www.learnitin5.com/ and offers short tutorials made for teachers to learn new tools in a very short time. As I end one module and begin the next, I am anticipating that increased familiarity with new tools will lower my level of stress and bring forth new creativity as I endeavor to do the same for my students. 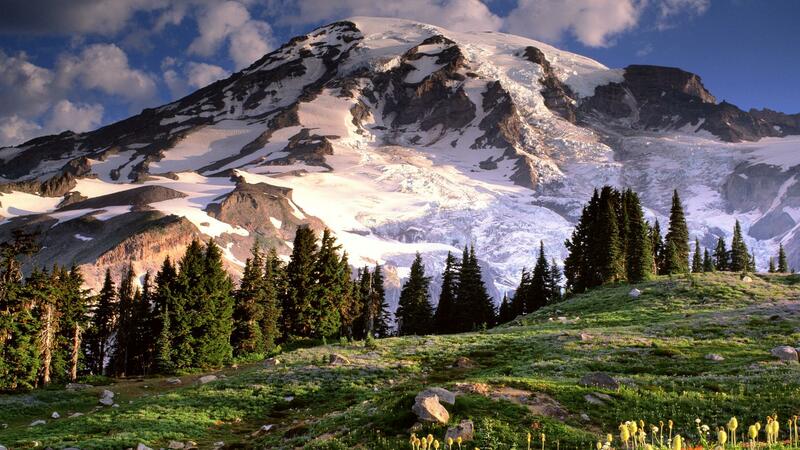 The attached photo of Mount Rainier, I am choosing to share because it creates a sense of calm for me as well as inspires creativity to reflect, write and paint. Robin, B. R. (2008). Digital storytelling: A powerful technology tool for the 21st century classroom. Theory into Practice, 47(3), 220-­‐228. I have not used “Learn it in 5,” but you have piqued my interest! I enjoy hearing how you share technology with your students, but also harness the power of technology for your students.